About to leave your job? 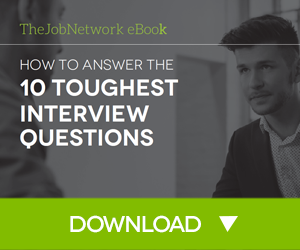 You might be asked (or required) to do an exit interview. This can be frustrating or intimidating. After all, you’ve got your outgoing checklist all but complete, and you already have one foot in your next opportunity. You think the hard part is behind you, and now there is one more task standing between you and the door! Don’t panic. Instead, think of your exit interview as a valuable opportunity for both you and your employer to learn something and grow. All you need to do is be prepared to give thoughtful, diplomatic answers to a few typical questions. Remember, you’ll be less stressed and the whole experience will be more productive if you are prepared. Think of this as an opportunity to let HR know exactly how the company is succeeding and failing. The information you provide can really make a difference for the coworkers and new hires you will leave behind. Here are a few questions to expect. 1. Why are you leaving your current position? This question could also take the form: “Why did you begin looking for another job?” or “What, ultimately, made you accept this other job?” Be prepared to say what was your largest motivating factor for wanting to leave, specifically. If it’s your awful boss, find a way to say that without trashing that person. You won’t look good if you go negative. Keep it classy and succinct. 2. Do you think you were adequately prepared/equipped to do your job well? In each of these questions, it is important to be prepared to provide specific examples. These will be much more resonant and will equip HR to actually make a change in company policy for the future. Did you need some valuable training that you didn’t get, perhaps? Is there a particular program, or other set-up that you really needed in order to perform? Again, be as specific as you can. 3. How would you describe the culture of our company? This can get tricky. But prepare a tactful, honest answer, and you can get through it. The more prepared you are to answer, the less you’ll be caught off guard into saying something rash. 4. Can you describe your relationship with your manager? This doesn’t mean: “Did you like your boss or not?” This means, how did your working styles overlap—did they clash or complement each other? Were you given the support and challenge you felt you deserved? Were you set up to succeed? 5. What did you like/dislike most about your position here? No one knows better than you. Try not to pick petty things like cool office perks (or lack thereof). Think about how you can help make this company better when you leave. 6. What should we require of your replacement? For example, what skills, experience, and qualifications should they be looking for to replace you? What expertise or training do you wish you’d had? 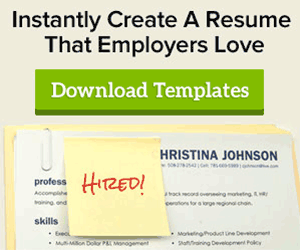 What do you have and know that would be hardest to replicate in a new employee? What magic synthesis of skills (i.e. multitasking and computer programming languages, or people skills and Excel) made you the perfect hire? 7. What could we have done to keep you? This question is the most blunt and inviting of a frank response. Sometimes you’ll get the more generic: “What is the one thing about this company that you would change?” But if you get the candid question, you should feel free to give the honest answer. What would you have needed in order to stay? More money? More responsibility? An extra team member? Benefits packages? More growth opportunities? You can do a lot of good for the next employee—not to mention your current team—if you give a thoughtful answer to this question. Then skip your way out the door and off into the sunset!